The Appathon, the Kidney Stone and the Teacher. So the Appathon was going to take place in London on the 28th January and start at 11:00am and go on to 11:00am 29th January. I travelled up to London on the Sunday unfortunately I was taken ill, with what I can only describe as the worst abdominal pain I have ever experienced. Previously food poisoning was the worst that was a distant 2nd compared to this. It was only when I got home on the Tuesday morning and visited the doctor that I realised it was a kidney stone! What I particularly like about the Touch Develop platform is that not only can you create the apps in the bowser and test them virtually. It has a built in predictive text feature which tries and predicts what you want to code. Ideal if you are not an advanced programmer. Due to the pain of the kidney stone I decided that I needed to go home and would not be able to continue through the night and on to the Tuesday. Although this was disappointing, I was told some great news which cushioned the disappointment. A few days previously I was asked to take part in an interview with Anthony Salcito th e Vice President of Education for Microsoft Corp.’s Worldwide Public Sector organisation. The news was that the interview had gone live on his website http://dailyedventures.com as you can imagine this was a nice pick me up from having to go home early. The interview can be found here. 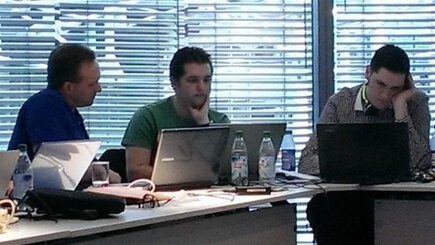 Two of the K-Team was also in attendance at the Appathon David Renton @Drenton72 & Ray Chambers @Lanky_Boi_Ray . They have produced some great apps in the 24hrs, they can be found below and I have no doubts that they will be blogging about these soon. If you are not following these guys on twitter I would suggest you do as they do some pretty amazing stuff with technology and education. Ray and Dave also presented at The Bett show about the work The K-Team have been doing which was very well received and even viewed by Anthony Salcito. I have been reliably told that is him in the back right corner kneeling down. Congratulations to the winner of the Appathon, Evgen Moturnak, and the two People’s Choice winners Oleksii and Oleksandr Tebenko, and the Best Concept winner Tommy Maher. 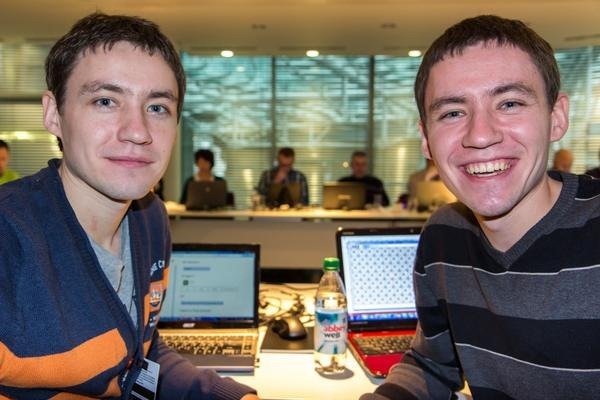 Evegen created an app called “Electrical Scheme Constructor” Oleksii and Oleksandr Tebenko created an app called “Matches”. Tommy Maher’s app was called “Digital Age Snapshot / Wider World” if anyone reading this has a link to their apps please could you post them in the comments section as I am sure they would like people to see them. 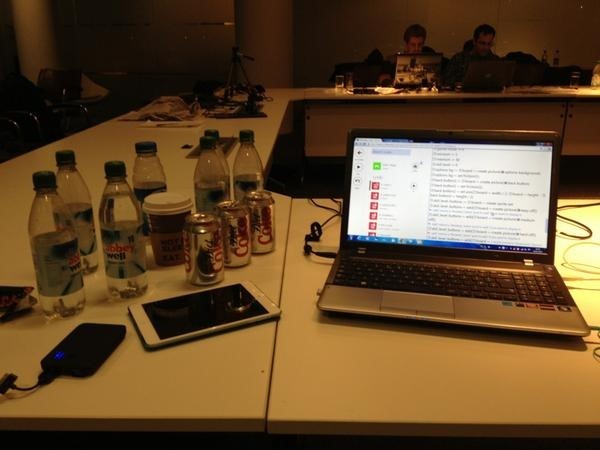 Needless to say the Appathon was a great success and it was great meeting everyone. If you get chance to take part in any future events like this, do as you will not regret it. As for my app although I didn’t get to finish it, I intend to develop it over the coming weeks so watch this space for future developments on this.